How Can Professionals Traveling With Pets Find Corporate Lodging? Can corporate apartments accommodate executives traveling with pets? Those traveling with pets will be glad to know that there are corporate apartments available that can accommodate them. 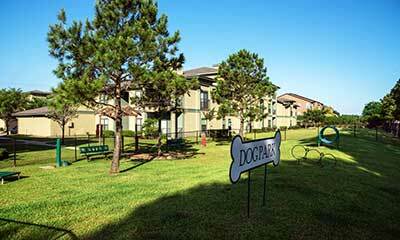 The best way to find pet-friendly units is to work with a company that specializes in corporate lodging solutions. How can a corporate lodging company help pet owners? These companies will have access to a comprehensive array of properties that will make the stay ideal for both you and your pet. Here are some examples of how they can help. They can match you with properties that welcome pets – The frustration and time spent on trying to find a pet-friendly unit can be avoided, as the company can filter out any unsuitable options. They will be able to provide a list of properties that meet the traveling executive’s needs, and the needs of their pets. Pet-friendly properties are designed to make life easier – There are properties that merely tolerate pets, and then there are properties that go further, offering special amenities just for pet owners. For example, some properties have a dog park on premises, which means exercise and taking care of “business” is close and convenient. That’s particularly helpful when staying close to or inside a downtown area, as there may be no dog parks within easy walking distance. If traveling with a pet that’s high-energy, a dog park on premises will provide the ideal outlet. Residential solutions that offer regular housekeeping – Most units offer bi-weekly housekeeping services. This valuable service allows the executive to spend more of their time exercising and enjoying time with their pet rather than worrying about the tedious task of cleaning house. If you are familiar with the area you will be traveling to, and want to be close to a particular spot, it can usually be accommodated. This is relevant for pet owners that need to be close to a lot of green space for their active dog, or near a veterinarian or animal hospital in case of an emergency. Keep your pet’s identification on hand – It’s always a good idea to have an identifying tag on your pet’s collar, but that’s probably not enough when traveling. Fortunately, there are modern pet ID options that make it much easier to keep track of your furry family member. In addition to a collar and tag, consider getting your pet microchipped so that they can be identified if they get loose. There are also pet tags that you can link to your smartphone or device, which means as long as they have their collar on, you’ll be able to find their location on your phone, tablet or computer. 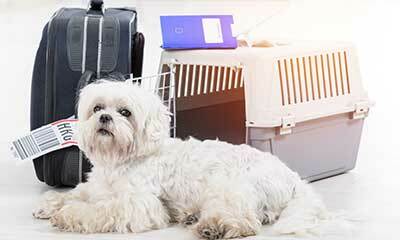 Don’t forget your pet when planning for delays – Delays, especially airport delays, happen, and many people find that they don’t have their pet’s food, water, medicine, toys or leash handy. You’ll need to take care of them in the event of a delay, so be sure to keep the necessities close at hand. It’s best to assume the worst will go wrong where delays are concerned, and plan accordingly. Get your pet used to their carrier well before travel day – To make things go smoother, Take some time to get your pet accustomed to their crate. Once they are comfortable going in and out of the crate, take them for a drive to a nearby park so they will associate the crate with a positive experience. When it’s time to depart for that business trip, the pet will be comfortable and at ease. More people are traveling with pets than ever before, which is why it’s important to work with a company that can provide pet-friendly accommodations for their clients. We Have ADA Accessible Corporate Apartments! Corporate Lodging Is So Much More Than A Hotel!